For better or worse, Halloween (1978) has a lot to answer for, having inspired a whole wave of slasher horror movies – some good, most bad. Among the better ones was a creepy little movie known as When A Stranger Calls (1979) about young babysitter named Jill Johnson (Kane) who is harassed by a series of ominous phone calls. The mysterious caller keeps asking about the children, which she inexplicably never checks on! Director Fred Walton does a nice job or ratcheting up the tension with shots of objects, like the phone, a clock ticking, and so on. Things go bad and Jill barely escapes death. Seven years later and the killer has escaped a mental hospital, which sets off the cop (Durning) who arrested him. He’s retired and is now a private investigator determined to get this guy. If the first part of When A Stranger Calls was a thriller, the second act is a police procedural as the P.I. follows up leads and tracks down the killer. Where the first act was dark and set in a claustrophobic setting of a house, the second act opens things up as the killer wanders the streets of Los Angeles and the P.I. pursues him. The last act of When A Stranger Calls brings it all full circle as Jill has gotten married, has two kids and lives in suburbia. The killer starts terrorizing her again as the thriller mode kicks back in. Most people only remember the first act of this movie, which was the premise of the generic remake that came out in 2006, but it has a lot more going on then your standard slasher movie. 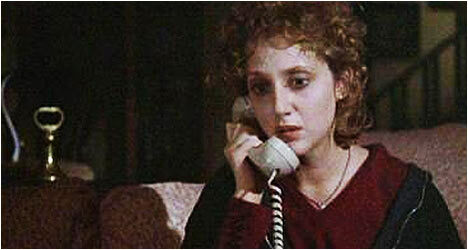 It is also anchored by a solid cast of actors including a young Carol Kane and the late-great Charles Durning. Happy Birthday to Me (1981) wastes little time killing off a hapless high school student before the opening credits finish. She was part a tight-knit clique known as the “Top Ten,” the richest, most popular students at school. When they’re not starting fights with Shriners at the local bar, they’re playing practical jokes on each other as only close friends can, but soon, one by one, they’re killed off in gruesome ways. The irony is that it’s no great loss as the group consists of shallow, vain jokesters. Chief among them is Virginia (Anderson), a young woman with a history of medical problems. The movie does a good job of setting up this tight group of friends and the dynamic between them. Not only does it get us invested in them, but also keeps us guessing as to who in the group is the killer. The highlight of Happy Birthday to Me, much like a lot of slashers made during the 1980s, is the staging of the kills and how inventive they are, like the infamous shish kebob impalement that made it onto the movie poster. The movie is basically a riff on Mario Bava’s Twitch of the Death Nerve (1971), one of the earliest body count horror movies. It is anchored by Melissa Sue Anderson, the former Little House on the Prairie star turned genre veteran. She is able to tread the line between sympathetic protagonist and potential crazy person. It’s a tricky juggling act that she pulls off well. The movie had a nifty twist ending, which was pretty novel back then, but has since become a cliché.